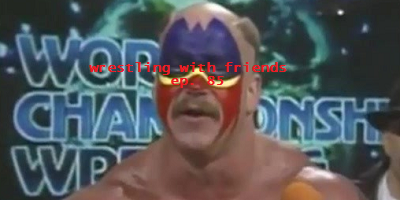 We know this new episode of Wrestling with Friends will excite you, we just hope you keep it to yourself! Nobody wants to see that. This episode is strictly List action. No fooling around! We've got #44 on deck, and once again it's just Erik & Andy. Our picks are so serious, in fact, that we hardly had time to talk about anything else important. We've got a devastating tag team joining the platinum ranks of the List, while another man who excels at the 'scream' joins the gold member ranks.